Tubing trips available from our Whitewater drop off location to our main location at the bridge in Gruene, or you can put in at the bridge in Gruene and float to Cypress Bend Park. Tubes rent for $20/person and that includes your shuttle fee and parking. On Saturdays parking is $10/vehicle. Cooler tubes rent at $10/tube. Raft Trips are available for $40/person (along with a $50 deposit). 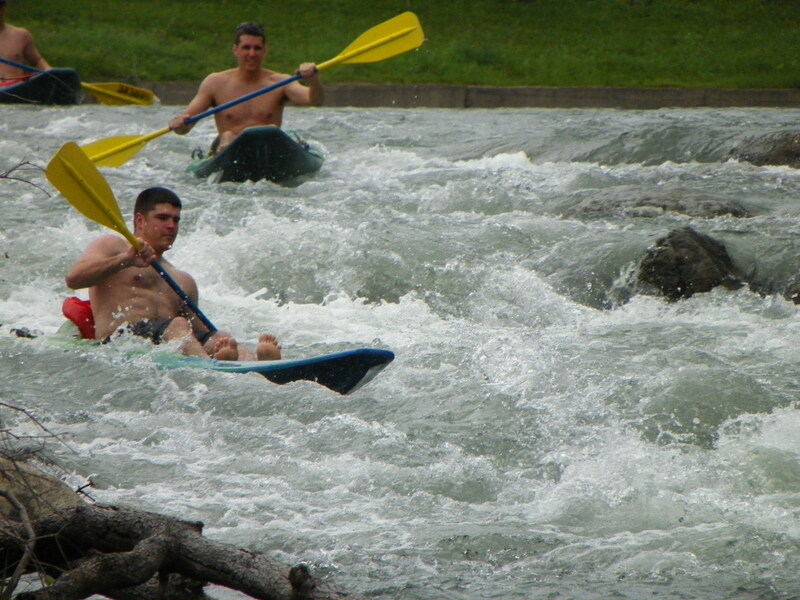 Our raft trips run from 1st crossing and 2nd Crossing to our location at the bridge in Gruene. During the trip you’ll have the opportunity to shoot Huaco Falls, Slumber Falls, Clutter Falls and Gruene Rapids. We offer longer trips as well, but make sure and call ahead to guarantee availability. Click here to see if we are running any specials! Hard body kayaks cost $40 to rent (along with a $50 deposit). Kayak trips also run from 1st crossing and 2nd Crossing to our Gruene Bridge location. Longer trips are available for kayaks as well, but please call ahead to guarantee availability. We have ice chest rentals! Ice chests rent at $10/chest.